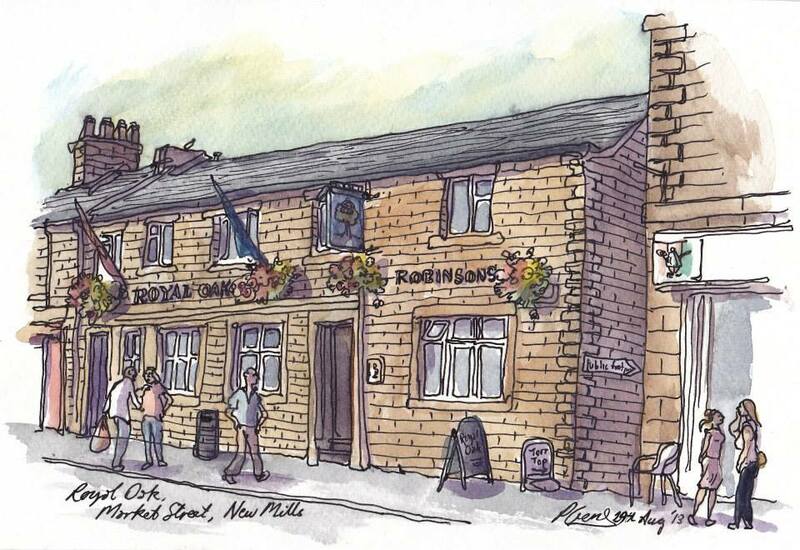 The Royal Oak on Market Street is a family run local pub and with the friendly bar staff the Oak is very popular. It is very much a community pub serving them and shoppers in the town centre of New Mills. A wide range of excellent cask ales and ciders are served together with continental lagers. Quality bar snacks are available at lunchtime and there is the occasional live act on an evening. Recently extensively refurbished throughout with an even wider selection of bottled and cask ales.